What are the benefits of short pile grasses? We all love the look and feel of a lush, long grass but these are not always the best choice of grass for every installation. Often a shorter grass will actually be the best surface for the use of the area, but a client may not be aware of the reasons why. All artificial grass is low maintenance, but every single grass requires some sort of brushing. A shorter grass has less distance to become vertical again so will take less brushing then a long, 40mm bladed grass. 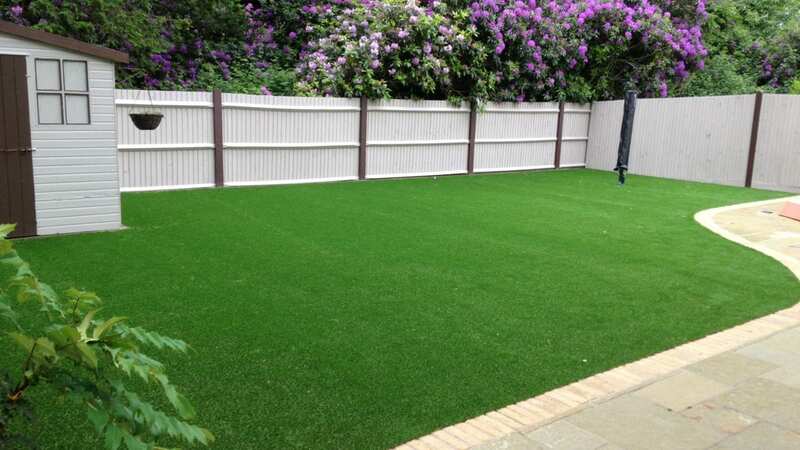 If the reason artificial grass is being installed is because the client is less able to manage the upkeep of a regular lawn, then recommending a shorter grass might be appreciated. The shorter the pile, the easier it is to clean. This may be an important factor for pet owners clearing up dog mess, especially as it isn’t always solid. If there are going to be children using it too then sanitising the area effectively might also be a priority. Whilst long grasses have a lush feel underfoot, mid length to shorter grasses have a more trimmed and tidy appearance. If the installation is for a communal or working environment, it may be better to have a shorter grass to make the right impression. Our Trulawn Continental has the same number of stitches as our Trulawn Prestige, but the reduced length of the blades makes the grass much lighter. Not so light that it’s going to blow away obviously, but it could make a difference to cost when considering delivery. If you want to learn more about our range visit our Products to see the variety of grasses we have on offer.